Welcome to the TAPI Collection website. 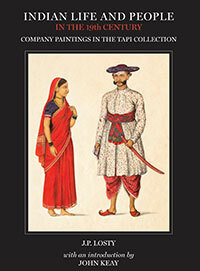 The TAPI Textile Collection consists of some of the most exceptional Indian historic textiles. It was brought together from a simple desire to celebrate the richness of the Indian textile tradition and at the same time to serve as a resource bank for design. The TAPI Collection has a vision to help people explore, enjoy, and rediscover the world of design through textile art and technology, to explore the past, understand the present, record the contemporary, and shape the future. will be available from the CSMVS Museum Shop, bookstores & online retailers.